In this chapter, the geological background and marine dynamics are reviewed. Such information is important for the research works of this book. 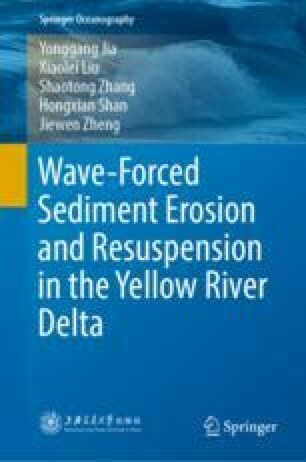 River channel evolution history, topography and geomorphology, marine dynamics, bottom sediment types, and the properties of shallow layer sediments of the modern Yellow River Delta is introduced in sequence. Among them, topography and geomorphology, marine dynamics, and bottom sediment types are key factors controlling erosion and resuspension process, and properties of shallow layer sediments are often critical in seabed sediment dynamic response to waves.